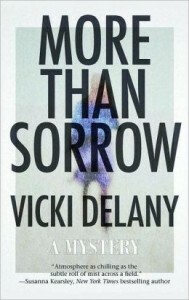 BOLOBooks is pleased to welcome Vicki Delany to the blog. I first met Vicki at the Canucks evening event celebrating Canadian authors at last year’s Bouchercon. Then she also attended this year’s Festival of Mystery at which I interviewed several authors live. Since Vicki was not one of those authors, I asked her if she would agree to be interviewed for the blog and she said yes! BOLOBooks: Your new book, A Cold White Sun, is the sixth book in your Molly Smith mystery series. Tell us what is happening in Molly’s life at this stage. 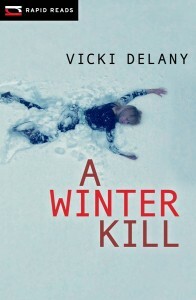 Vicki Delany: One of the advantages of starting the series very early in the protagonist’s life (she was 26 and a probationary constable in In the Shadow of the Glacier) is that it gives me plenty of room to have her grow and change. Right now, she’s getting more comfortable in the job. She’s still a bit green but that too-keen-to-please eagerness is being tempered with maturity and experience. She’s at a major turning point in her life, realizing that if she wants to be more than just a small town beat cop she needs big-city policing experience, but she loves her small town, she’s close to her mother and in a good relationship. In A Cold White Sun, she makes a final decision about her relationship with Adam Tocek. BOLOBooks: The Molly Smith series is a police procedural. How do the actions of the police in Canada differ from those in the states and abroad? Vicki Delany: Canadian policing is very different than US or British. So writers, if we want to get it right, have to throw out everything we watch on American TV or read in British books. The biggest difference, certainly as it relates to writing fiction, is that Canadian police carry guns when working, but are not allowed to carry them when not actively on duty. They either leave the gun at the station when they change into civilian clothes, or must go home immediately after shift to lock it up there. So in some of the books, the climax happens when Molly (or John Winters, the co-protagonist) are not working and thus they can’t rely on gun power to get them out of situations. There are not many small town Canadian police departments, and fewer all the time. The town on which Trafalgar is based is the only, or one of the only, town(s), in the B.C. Interior to have a city police force. BOLOBooks: You also write the Klondike mystery series. Besides the historical setting, how are these books different from the Molly Smith titles? Vicki Delany: The Klondike books are intended to be quite light. I call them a mad-cap romp through the muddy streets of Dawson City during the Klondike Gold Rush. Light and funny and not at all serious. BOLOBooks: In the last few years, it seems that Canadian mysteries have really started to take off here in the states. Can you give us a general sense of what the Canadian writing scene is like? It is such a large country, so I know there must be some great variances in styles from the different provinces. Are there any common bonds? Vicki Delany: We’re certainly pleased to hear that Americans are enjoying our books. I am the National Vice President of Crime Writers of Canada. We’re a growing thriving organization and it’s a very exciting time for us. I read a lot, but even I can’t read everything, but I’d say that, generally speaking, most Canadian crime is neither too noir or too cozy. There are a lot of Canadian writers writing very cozy books, but for some reason everyone I can think of is set in the US and published by an American publisher. Canadians also are not as likely to write mega-thrillers, of “the lone wolf must save the world” sort. Thrillers, and there are a lot of good ones, are more inclined to be about an average person who’s up against some threat to his immediate community or family. Regionality doesn’t make much difference in terms of style, but Canadian books are all about setting. Whether downtown Toronto or the wilds of the Yukon, setting is paramount. In the review for my second novel, Burden of Memory, the Globe and Mail said, “The best Canadian novels are always firmly set in a place.” I’d say that’s a pretty good generalization. BOLOBooks: In 2012, you released More Than Sorrow, a stand-alone suspense story that has been described as having a Gothic feel. How did the idea for this novel come about and did you have any unique challenges writing in that style? Vicki Delany: I love the British style Gothic novel. That doesn’t mean supernatural or Vampires or anything like that, but a novel about secrets from the past affecting the present. There were two main challenges in that book. One was getting the details of Hannah Manning’s traumatic brain injury right (she was injured in an IED explosion in Afghanistan) and integrating the story of the original Loyalist setters with what’s happening to Hannah who’s living on that same farm today. It was challenging, but fun. The Loyalists, by the way, were refuges from the American Revolution. I live in a Loyalist area, settled in 1783. Here, the Loyalists are the ‘good guys’. When I toured in the US for that book, I met a lot of people who told me they learned something they hadn’t known. In doing that research, I learned a lot too. BOLOBooks: Canada has a very positive program called Rapid Reads. Your contribution to the program, A Winter Kill, was nominated for an Arthur Ellis Award for Best Novella. 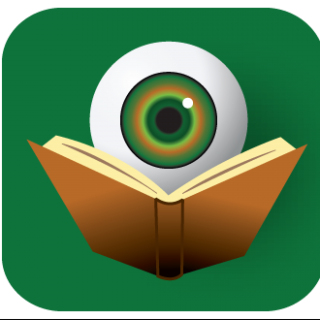 Tell us about the Rapid Reads program and how you became involved. 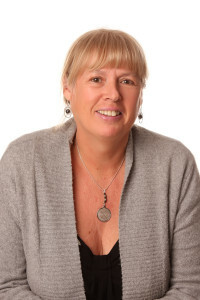 Vicki Delany: Rapid Reads books are published by the Raven imprint of Orca, which is a children’s and YA publisher. The books are just what they say they are, rapid reads. Mine comes in at about 15,000 words (a novel is usually around 80,000 – 100,000). The books are specifically written for adults with either low literacy skills or ESL students. But they also appeal to people without a lot of time to read, looking for something that is still suspenseful and exciting. They are adult books with adult themes and adult covers, just intended to be short and to the point and easy and fast to read. It’s a great programme! Vicki Delany: A no-brainer for me. It’s e-books all the way. The only problem with your rule, would be that I like to get paper books by my friends and have them signed and displayed. I have not only one e-reader but two as well as books on my iPad. The drawback with e-readers of course is that they are electronic and electronic devices can fail or run out of battery power, thus the redundancy. I went to Uganda and South Sudan for five weeks in April. There are no libraries or bookstores in all of South Sudan, so I had to take all my reading material with me. In the old days that would have been a separate suitcase.